Located on the North Coast of New Britain Island, Papua New Guinea, Kabaira Beach Hideaway is a beachfront property with a Guesthouse accommodation, two Bungalows, a Dining Room and a Haus Win deck on the waterfront. We have a House Reef which is excellent snorkelling, and we are only 20 minutes from nearby reefs and islands suitable for group outings. Built on customary land and surrounded by rural villages, Kabaira Beach Hideaway was opened to the public by the Woolcott family in 2003. The Woolcott’s have been in the Rabaul-Kokopo region since the 1930s and have traditional ties to both New Britain and nearby New Ireland. 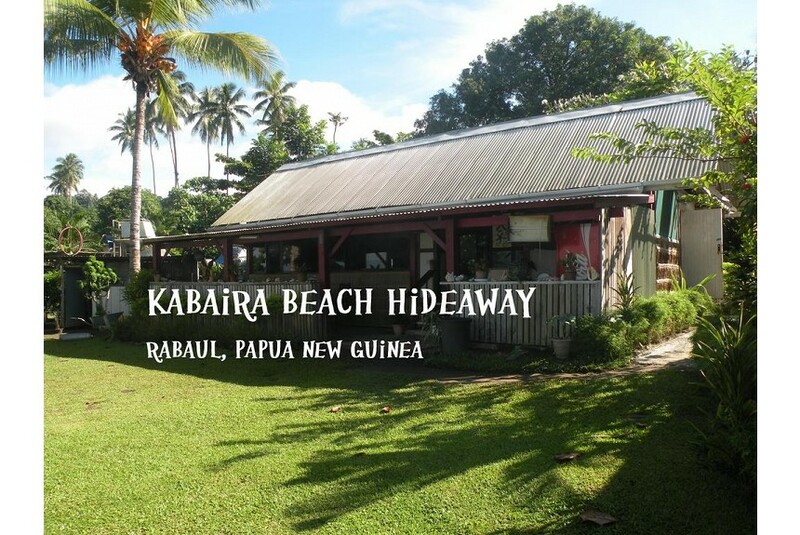 Kabaira Beach Hideaway caters for international and domestic tourists, and also welcomes day guests by prior arrangement.